On 10th and 11th October, Sophie van Goethem, our Dutch Renewable Energy consultant, visited the Vakbeurs Energie, currently the largest live business-to-business event on energy-saving and sustainable energy in the Netherlands! The trade show took place at the Brabanthallen in ‘s-Hertogenbosch, and is held annually as a leading platform showcasing heat, electricity and energy saving. There was also an area of the show floor dedicated to eco-mobility. This year, the exhibition hosted almost 350 exhibitors and partners. Organised into 54 separate events, the show offered a huge array of innovative technologies and projects. Experts in the Renewable Energy space talk solar energy at Vakbeurs Energie 2018. With such room for discussion, networking, and inspiration, trade shows of this kind are key for those in the renewable energy space. The platform is ideal for delving into both the contemporary challenges and possibilities that technology brings – whether it concerns a specific improvement or an integral approach, from reducing energy consumption to stricter purchasing policies. The exhibition focuses primarily on optimal energy saving and reduction of CO2 emission in industrial and construction areas – including climate control, sustainable energy systems, and process optimization such as passive construction. There were a number of presentations on innovative technologies, trends and the political climate. There was also much discussion about eliminating natural gas in the Netherlands in the coming years. As hosts of the show, the Netherlands presented an impressive collective of start-ups, including initiatives from the solar industry supported by InnoEnergy. Belgium, however, was also there to participate, represented by a group of start-ups from Wallonia. 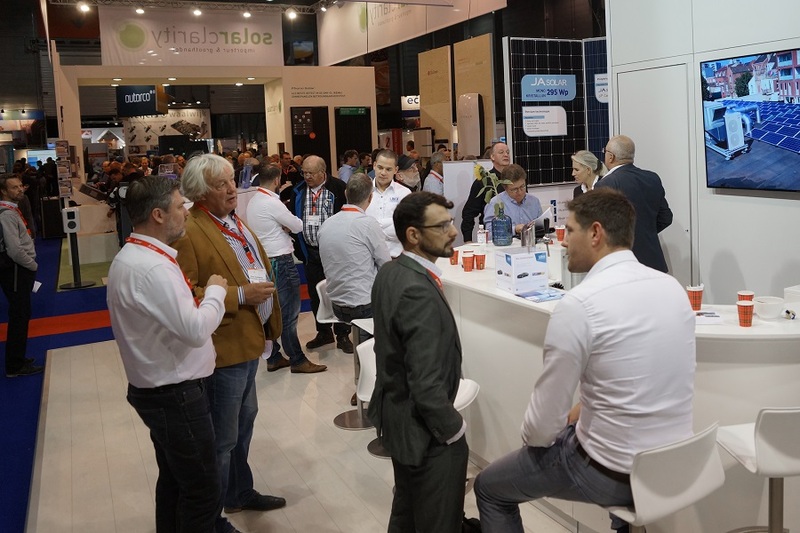 A lot of new connections were made between manufacturers, distributors, installers and partners in the Netherlands – and, of course the Renewable Energy team from The Polyglot Group! Around the world, the renewable energy industry is getting more interesting by the day! Watch this space – there is more to come yet.